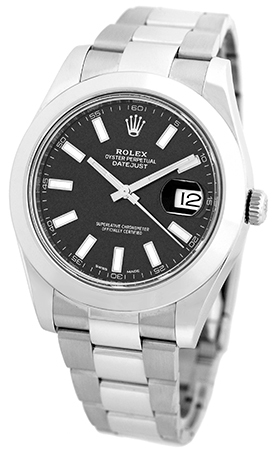 Black Dial with Luminescent Baton Markers, Sweep Second Hand. 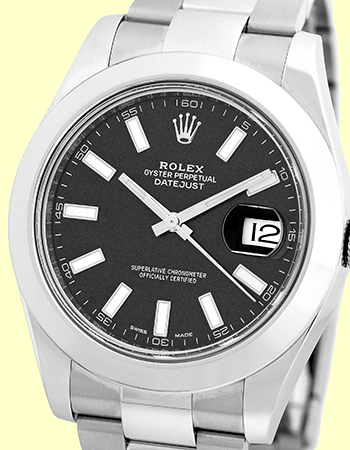 Date Indicator, Stainless Steel Smooth Bezel, Quickset Movement and Sapphire Crystal. 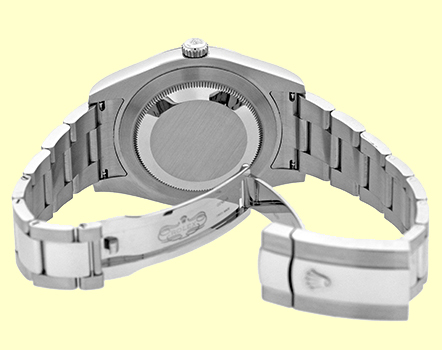 New Style Matching Stainless Steel Rolex "Oyster" Concealed Clasp Bracelet. 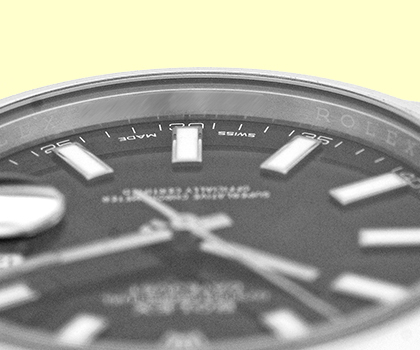 Random Serial Number, 2015 Production. 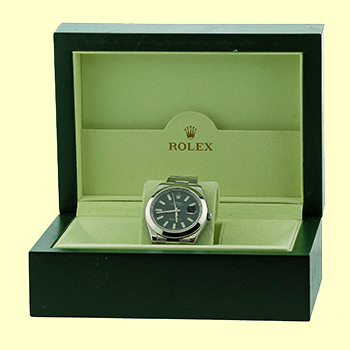 Like New, PERFECT Condition with Rolex Box, Booklet, and Tag and complete with Capetown's Lifetime Warranty! !